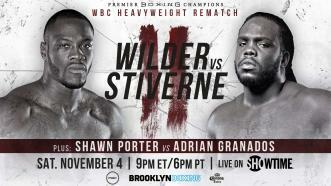 WBC heavyweight champion Deontay Wilder (38-0, 37 KOs) returns to the ring on November 4, 2017, live on SHOWTIME from Barclays Center to defend his title against the man he first took it from: Bermane Stiverne (25-2-1, 21 KOs). 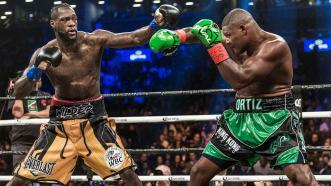 Undefeated heavyweight champion Deontay Wilder retained his WBC world title against previously unbeaten Cuban contender Luis Ortiz by 10th-round TKO. 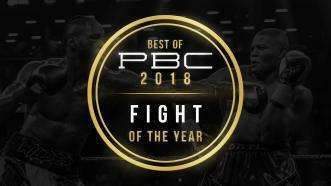 PBC's 2018 pick for Fight of the Year goes to ... the WBC heavyweight title fight between Deontay Wilder and Luis Ortiz on March 3, 2018! 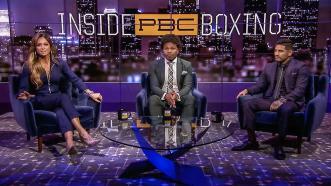 On Tuesday, January 8, 2018, Shawn Porter and Abner Mares joined Kate Abdo on FS1's Inside PBC Boxing to reveal the results of our “Best of PBC 2018” Fan Poll. 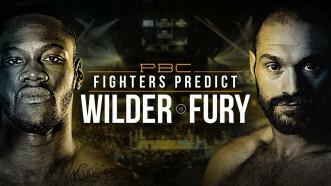 PBC's 2018 pick for Round of the Year goes to Round 12 of the exciting heavyweight title fight between reigning champion Deontay Wilder and lineal champion Tyson Fury on December 1st. 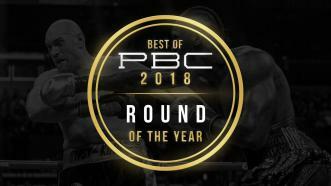 On this episode of PBC Jabs, we recap our thrilling weekend of fights and we’re getting into the holiday spirit with a PBC holiday merch sale. 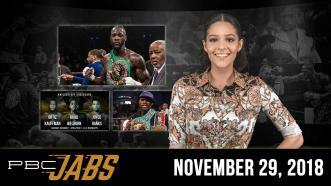 This week on PBC Jabs, we preview our December 1st Showtime Pay-Per-View card and we check in with WBC heavyweight champ Deontay Wilder ahead of his blockbuster title fight with Tyson Fury. 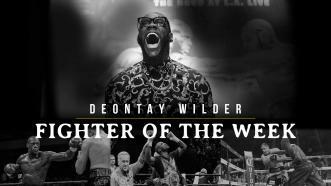 We recently asked some of boxing’s top talent—including Mikey Garcia, Leo Santa Cruz and Danny Garcia—to give us their prediction for Deontay Wilder vs Tyson Fury on December 1st.